‘Some Truths Should Stay Buried’ – but not this one. Surrender is available throughout New Zealand – while stocks last. Donna Malane wasn’t your usual suspect. Having worked as a screenwriter in Wellington for most of her life she wasn’t what the jury was expecting. But in the end, the verdict was unanimous. It was Donna Malane. There was one deciding piece of evidence that proved it – her manuscript. It’s been a long and interesting journey but the winning book from the NZSA–Pindar Publishing Prize is about to be launched in New Zealand . 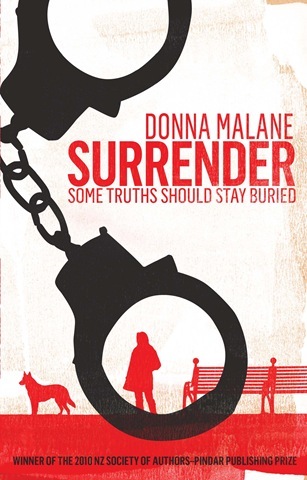 Donna Malane’s Surrender will be available at any Whitcoulls or Borders store nationwide from Thursday 16 September 2010. This murder mystery thriller set in Wellington was the overall winner from 508 applications. Judge Graeme Lay describes the book as, ‘A gripping narrative with an intriguing mix of brutality, mystery and humour…. Vivid writing and a great central character’. 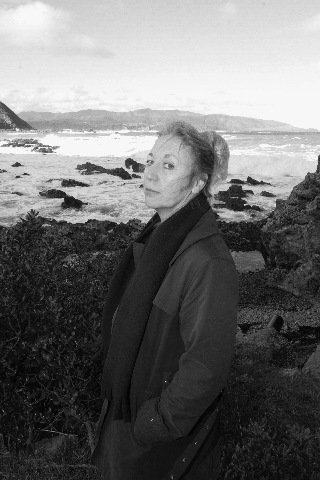 Linda Herrick, from The New Zealand Herald and also a judge in the inaugural competition, comments, ‘The writing is crisp and compelling, driving the story along at a great pace towards the climax’. Pindar’s Mia Yardley has been working with the Society of Authors over an extended period to get the book to a high standard of publication. The Society’s CEO, Maggie Tarver says, ‘the finished product is something we can all be proud of. To get the award-winning novel for only $10, half price – simply clip the voucher printed in The New Zealand Herald between 16 September and 16 October 2010 and take this to a Whitcoulls or Borders store nationwide. Offer available while stocks last.